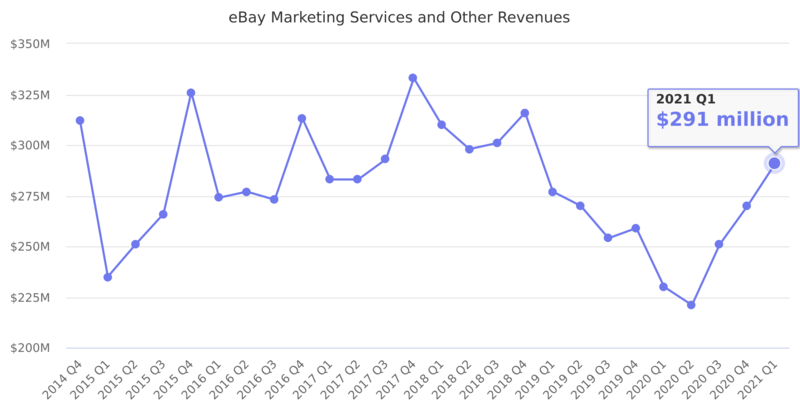 Revenue generated from marketing and other services eBay provides to marketplace sellers. Last reported quarter 2018 Q4 it was $316.00 million, down by -5% year-over-year from $333.00 million. From $1,192.00 million in 2017 it increased by 3% to $1,225.00 million in 2018.